🌟 Victoria Schwab is a Slytherin, not because she wrote a series about villains, people think that you need to be evil to be a slytherin. would like to remind you that Slytherins are cunning, shrewd and ambitious and that is V.E. Schwab. 🌟 Victoria ended the first book with a bang and I had high expectations for this one, while it took some time for book 1 to pick up. This book starts with more action, more drama and more evilness! I was like ‘Victoria, you can’t do that’ and she was like watch me do it. This book started as a 5 star book for me and I was so happy with everything but then I think it slowed a bit which makes me reduce my final rating by half a star. 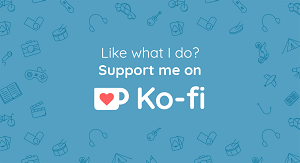 🌟 This series has all the things that I like in a book, fast pacing, short chapters, many chapters, great writing, morally grey characters and medical topics. It sounds as it has been tailored for my book taste exactly. I mentioned before that I had the same idea for the first book and I was fascinated by how much Victoria perfected it. 🌟 The writing style is great, I wanted to highlight most of the quotes. It restored my faith in books after many disappointments last month and I was just happy reading it. 🌟 I like how Schwab also thinks outside of the book, I always think why Superheroes (or villains) need to have limitations to their powers, why can’t some powers just exist in fictional worlds and Schwab gladly gave life to this. 🌟 The writing was also jumping between different timelines and different characters, something which always leave me on the fence and want to avoid reading such books especially if written by amateur authors. once again, Schwab excelled at making it interesting and clear and I always wanted more. 🌟 I only object on the final events and how everything came together. Not that it was bad but I expected that 5 stars ending as the one in Vicious but I didn’t receive it and I am still thinking about the last chapter and not sure what she intended by it, so if you have an idea please tell me! 🌟 Summary and prescription: A well-rounded books that is surely above average which will keep you hooked from start to end. It has unique characters and great writing. If there is someone who should write a villains series then there is no one better than Schwab to do that. 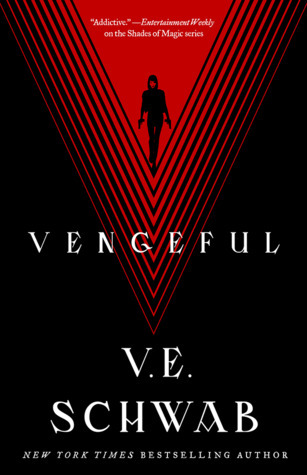 I recommend it to all Vicious fans, to all those who like superheros/ villains and morally grey characters. I gave it 4.5 out of 5 stars! Note: Victoria Schwab liked my tweet, I can RIP now! Great review and I am SO GLAD you had a good reading experience. I am diving into this one tonight. I feel many are anticipating my next 5 stars read and I still can’t find it! Why do I have to be this critical 😦 ?! Yes, I know you almost have the same curse! I haven’t read this but great review, you make it sound very enticing! Great review! Looking forward to read this. PS: I squealed for you when Twitter showed that V.E. Schwab liked that tweet. I’m SUPER excited for this book! I have it on my tbr this month, hopefully I could get to it! Hope you can get to it and enjoy it soon!